Special dressing today: Twist and Shout… you need to shake it, baby!!! Hey, I’m not posting about Catalan food today!!! This dish is typical from the Basque Country (Northern Spain) a beautiful place to live, with wonderful landscapes, fantastic people and the best food! Culinary traditions are embedded in the Basque culture from ancient times and the result of such vast experience shows in their exquisite food and recipes. The nearness of the Cantabric Sea and the prolific land they inhabit are the basic ingredients for a rich and flavourful cuisine! A twentieth-century feature of Basque culture is the phenomenon of gastronomical societies (txoko, “corner” in Biscay), food clubs where men gather to cook and enjoy their own food. Until recently, women were only allowed one day in the year. I’m sending this dish to my foodie friend Ben from What’s Cooking? He has a special place in his blog dedicated to foreign dishes and food culture. 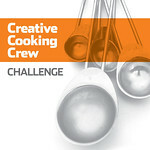 Please follow the link to see What’s cooking, World? And find more interesting and exotic meals. Back to the codfish, this is such an easy recipe… with a few ingredients and a great result! Here is what you need to impress your guests! Go and buy the salty Cod or get it desalted. To know about the desalting process, follow this link. •Ingredients for 4 servings: 4 large pieces of desalted codfish (snout is the best part for this fish), 6 garlic cloves, 2 or 3 red hot peppers, 2 cups of extra virgin olive oil, salt and black ground pepper (to your taste), 16 green fresh asparagus. •Once desalted, press with kitchen paper so that all the water leaves the fish (very important step). •In a big sauce pan pour the olive oil.Cut in thin slices the garlic and throw in the sauce pan at medium/low heat. Throw the red peppers too. When the garlics are golden, place in kitchen paper to leave there the excess of oil. •Place the codfish in the pan and cook at medium/low heat for 5 minutes (skin should be down). Take 2 thirds of the oil outside the pan and reserve in a recipient. 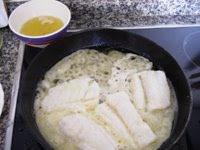 •Shake the sauce pan while cooking and you will see that a white sauce starts showing, when the cod is cooked (total maximum 8 to 10 minutes, depending on thickness of the cod), reserve over kitchen paper. •Keep on shaking the sauce pan to get the oil emulsionated and add some more of the one you reserved. You can also get the help of a strainer to do so. When you get a thick texture, the sauce will be done. •Fry the asparagus in a few drops of olive oil (different pan) and add some sea salt on top. 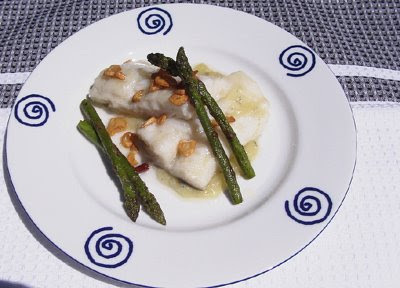 •Present the dish with the pil pil sauce, the codfish, the garlic and red peppers on top and the asparagus too. ENJOY!!! Get Power Point recipes and pictures. I like cod Nuria and this is a wonderful way to present it. 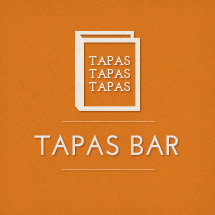 Again you present very informative informacion about the cuisine of the Basque region. Gracias! Ahhh, I regonize Pil Pil…to jump! Cod is a wonderful fish and thanks for opening the window on a Basque dish. 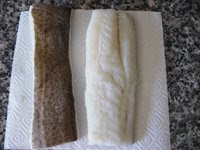 It’s nice to learn more ways to prepare cod as it’s one of our favourite. Hola Ivy! Cod is one of my favourites too!!! I never get tired of it! For some reason, I don’t often see cod in our markets. Thanks for sharing a new way to prepare it though. If I find some, then I’ll know what to do! Thanks Jen. Hey, no problem at all! I just tried bacalao for the first time recently, in a fritter. I love saying bacalao in a Portugese accent. It’s the sound my cat (Bock) makes. Hey Mallory! HOla welcome back!!!! I look forward to reading some of these posts you promise :D I’ve never been in Portugal before, so it will be nice to see it from your eyes!!! 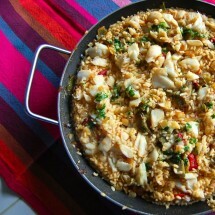 northern spain is exactly where i fell in love with bacalao. mmmmm. we used to make it all the time here at home until my husband get a stomach bug the day after we ate it for dinner and he hasn’t been able to touch it since. soon, though… very soon! this looks great. Hi and welcome Tempered woman! 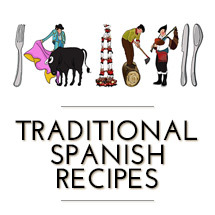 I will surely post more about Basque recipes!!! So glad you like them… but who doesn’t :D?